With the country’s current financial situation presenting a challenge to many families, there has never been a better time for fathers to use their parenting skills to teach their children some money basics. If your children are very young, you can start by helping them discern between necessities and wants. If they are dying for a new toy, help them save up for it slowly by giving them a small regular allowance. Most experts say that you should let kids have the freedom to decide how they spend their allowance. However, don’t forget to use your parenting skills to show them how to assess value and compare prices on various items. Piggy banks are still a great tool for encouraging saving before your children have their own bank account. Consider matching any contribution your child makes to their savings, or dole out a small amount each month to introduce the concept of interest. Your parenting skills can also be used to illustrate financial lessons in stores or at the supermarket. Whether you are single parenting or co-parenting, sitting down with your kids to work out a budget before shopping is a useful experience for all involved. Kids can check each item off the list as it is purchased. Once you’re in the grocery store, challenge your kids to find the best deal on food and household items by comparing price by weight or volume. You can also task them with clipping coupons from the Sunday circulars each week. Kids will love to see how their actions are helping the family save. 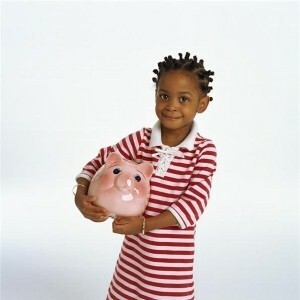 When kids get older, they can start their own savings account at a bank. Consider asking relatives to give a savings bond as a present once in a while and, if appropriate, develop a system in which your child helps put money away for college. Once your child reaches their teens, they may have the opportunity to get a part-time job, which can help them learn about checking accounts, taxes and more extensive money management.